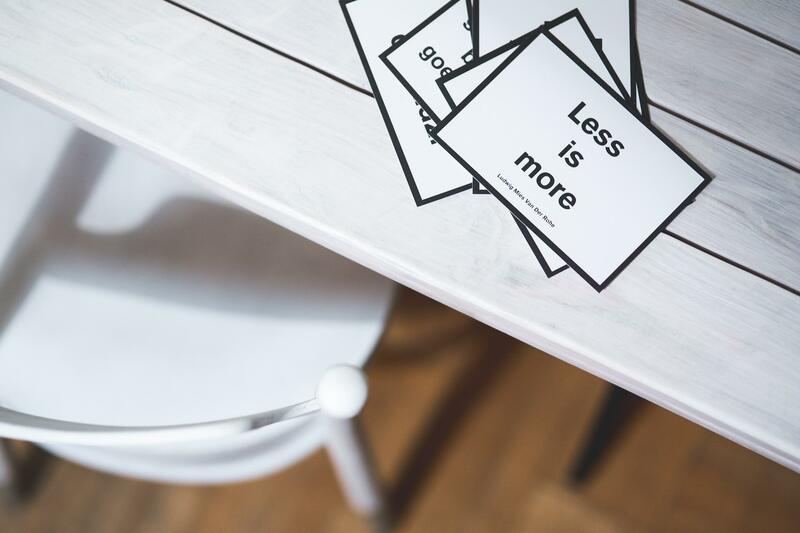 Do You Need More Content For a Better Blog? If you think about productivity in blogging, you may imagine that means creating lots of written content on a regular basis. However, being a productive blogger doesn’t always have to be about writing as much content as you can. No, in fact, many successful bloggers don’t sit at their desk all day writing. It’s as much about the promotion of the content as writing the content itself. Some days you just don’t want to write another word. You can't face the thought of uploading any content. This doesn't mean though that those days aren’t wasted. Don't feel like a failure if you don’t feel like writing or submitting a post. There are several different things that you can do to still be a productive blogger without having to spend each and every day writing. And not forcing yourself to write may just help you to build a better blog in the long run. Read this post about maintaining productivity as a blogger. An important element of being a productive blogger, is to spend time promoting yourself. A productive blogger doesn’t just spend their time writing blog posts. There’s not much point writing content that no one’s going to see. However great your writing is. You will build a better blog by building an audience and getting traffic to your blog. If you want to get traffic to your blog while also building your brand you need to use social media. Social media is one of the best ways to get yourself out there. You need to show people who you are and to tell them that they should take notice. You know you're great, but they don't know it. Yet! Make sure you schedule time for promotion. Read more about that here. Clearly writing and publishing posts is an essential part of being a blogger. But a productive blogger also takes the time to promote the content that they have written. They leverage that content. Writing content is one thing, and promoting it is another. If you want to be a productive blogger and build a better blog, you’ll have to learn the art of promoting your own content. You’ll see that the productivity isn’t the continuous writing of content. It’s the way that you can make the most of the content that you’ve already written. That’s to promote it. Promoting your content isn’t just about letting people know when you’ve created a new piece of content. It’s about promoting your content that’s both old and new. Social media is a great way to really get people to read a great post that you wrote. Or a way to get people to share that post that you want to go viral. Being productive is never about working yourself to overload. Although occasionally it may feel like it. It’s about making the most progress with the least effort. Social media is a great way to do just that. You might be thinking well that's all well and good but how do I promote my content? How do I build a better blog and build my brand as a productive blogger? Well, first you need to make sure that you talk about your content. As soon as you’ve got a new post out there, make sure that you tweet it on Twitter. Use hash tags related to your post. Share it on Google+. Share it on Facebook and Pinterest. 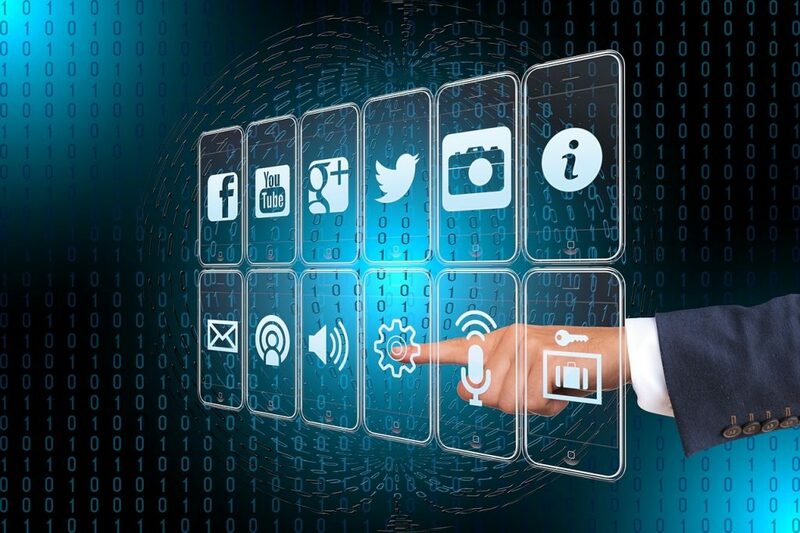 Of course, it’s always best if you spend time to build up a following on each of these social media platforms first. That’s something that takes time but is very important. Don't just do it once either. Don't think that putting one tweet out will count as promoting your content. Make sure that you follow some of the influencers in your niche. Then start sharing their content with your people. Then you will start to build a relationship with others and grow your own audience. Connect with other bloggers too. You can normally find their social media details on their blogs. Let them know that you have been sharing their content. 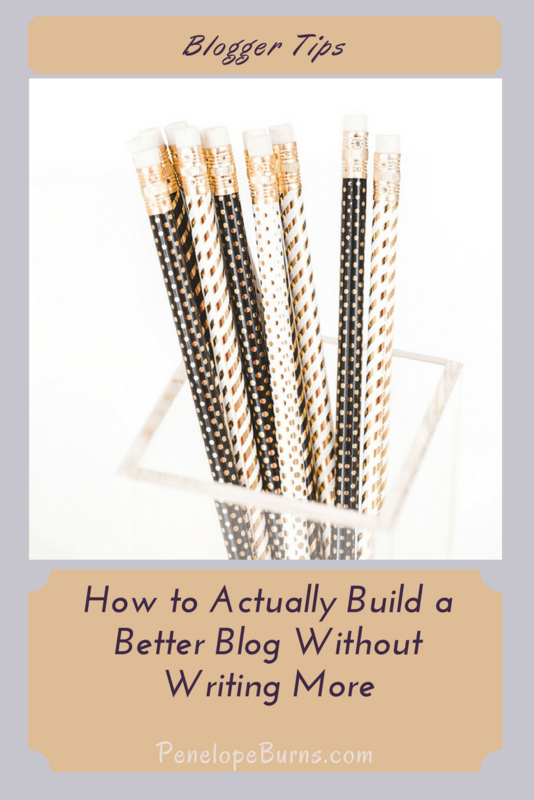 Again, you will start to build up relationships and become known as a helpful blogger. Just make sure that you are genuine. By connecting with bloggers in your own niche, you should have similar interests. Sign up to forums that are related to your blog topic. Don’t simply spam the forum with your details. We have all seen people do just that. Instead, just add a signature link and begin posting helpful comments on the forum. You’re likely to build a name for yourself on the forum if you continually post and help people. Although automation can go very wrong and end up quite spammy, it is not always bad. There are some free tools available that can be useful. Tools that allow you to schedule tweets ahead of time when your audience are up and you are in bed. To work well, they take a bit of up front planning. When you write a post, write 10 tweets and then schedule your tweets for different times. When you want to become a productive blogger, every little form of promotion can make all the difference. Each time you get your content out there, the greater the chance that you can build up a large audience. Being a productive blogger is not just about producing lots of content and producing it fast. 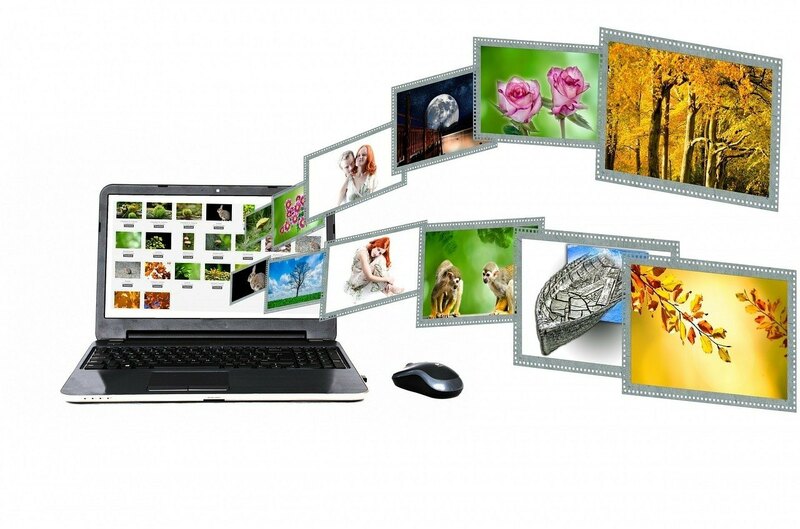 It’s also ensuring that people see the content you’re creating. To build a better blog you need to spend as much time, if not more time, getting your content in front of an audience than you do actually writing it. We all have days when we struggle with writing. You look at the topics you know you want to write about, but none of them appeal. Perhaps you just feel generally lethargic. Or Mondayish. Yes, that's a thing. Whatever the reason, don't just turn your back on your blog. One day can easily lead to a week. Just do other things rather than write. Sometimes just being on social media and seeing other people discuss great topics can relight your fire. As it were. Remember that productivity doesn't have to be about writing. 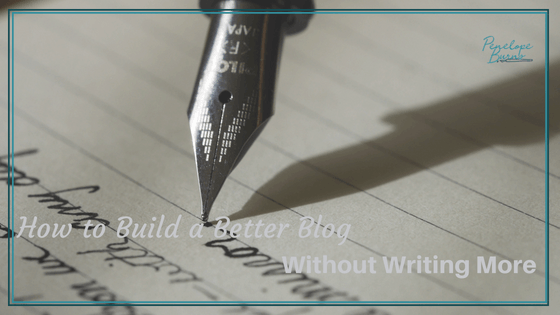 You can continue to build a better blog even when you don't feel like writing. Let me know in the comments if there is anything you do when you just don't have the urge to put pen to paper. Or fingers to keyboard. Good stuff! Thanks for the like on my blog, I was wondering if anyone even saw it! I know – it is easy to think you are sat there in a black hole! That is why it is great to link up with other bloggers. I too bookmarked this post. Lots to think about. Thanks. I definitely need this. I post but do not do the SEO items. That’s very helpful. I have bookmarked your post. I do completely agree that you have to build up relationships and have a good reputation for being helpful if you want a successful blog. This doesn’t just happen overnight.